Looking for NEWER construction West of trail? Lock & Leave with EASE of living? Low maintenance luxury chic living. SUN seekers? 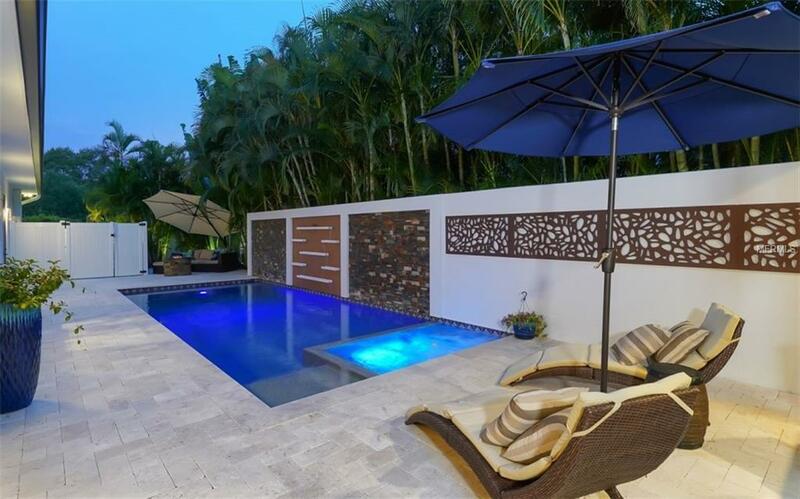 Private walled pool/ spa solar tiles is designed to maximize the southern exposures. Western light pours into the soaring ceilings and 16 + windows in GREAT room living spaces to allow incredible natural light in this residence. A coastal contemporary design with generous custom features throughout. 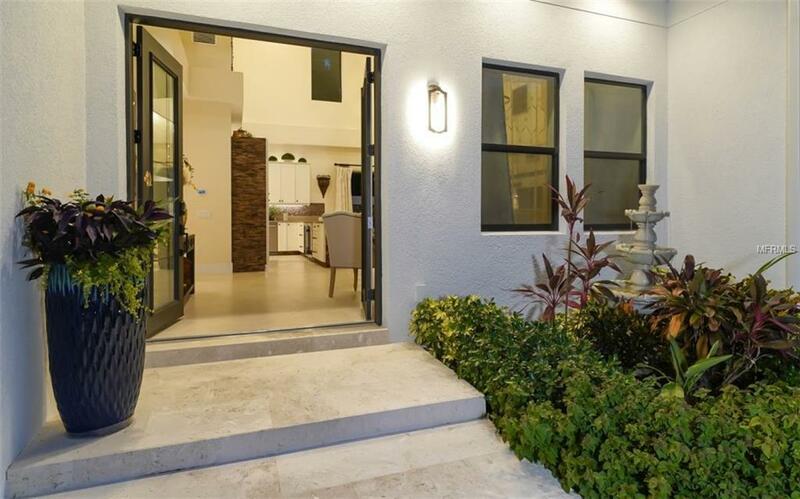 Sleek travertine floors, electric fireplace, wine wall w refrigeration, magical strategic lighting creating magical setting even more so in the evening, top of the line appliances offering 2 of everything to enjoy entertaining! Master on main level for ease of living. Separate 3 bd upstairs for private split floor living. Generous flex space room on main level, CABANA with misters, grill station, skylights, and so much more. 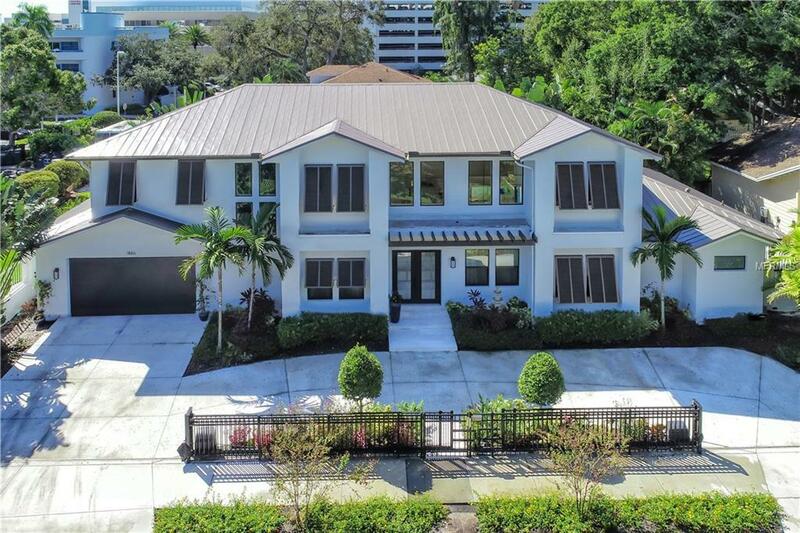 This home offer 4 bedrooms, four baths plus flex space, two 2 extra " secret storage large BONUS space enough for exercise room, wine storage, yoga- zen room, office this retreat has a great room design, WALK TO SMH, BAYFRONT, DOWNTOWN, SOUTHSIDE VILLAGE restaurants for dining. Sellers says BRING ALL offers for consideration. This is a gem that you cannot build and recreate for the current list price!! !